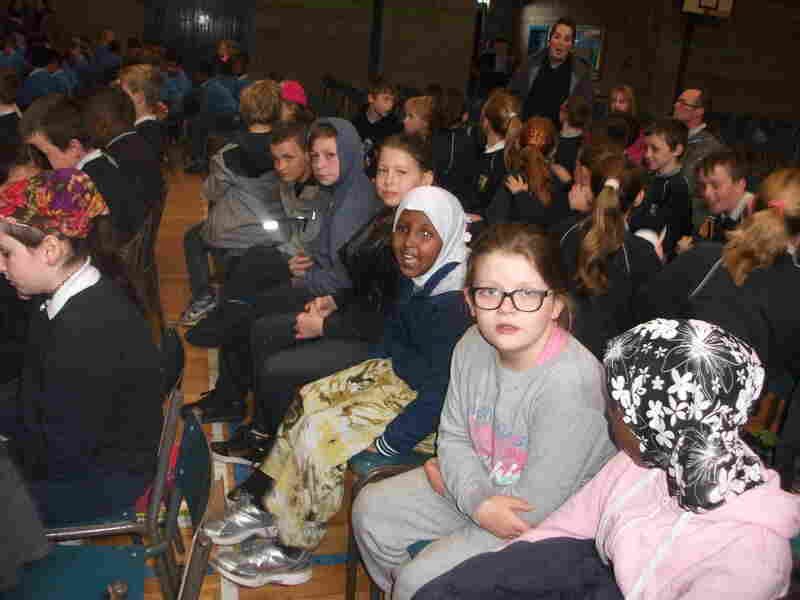 We have two reports on the Music Generation Concert in which SSP took part. The first one is written by Ieva, the second one is a general account by Deirdre. On the 19th of May, our class played in a music concert in St John’s Hall. It was organised by Music Generation. Dave Flynn, our guitar teacher, was teaching us for 12 or 13 weeks. We practised really hard. 150 children played on stage in the orchestra from 5 different schools. First, Dave’s band, ‘Anything Goes’, played for us. They were really good singers. After that, children played some songs. Our class played ‘Hit the Diff’ with Dave’s band. Some people were nervous because they had never played in front of a large audience before. I wasn’t nervous, just excited. My mum and some other parents came to see the performance. At the end, all of the children played the same song together. It was called ‘Sing’. I think the orchestra sounded great. I’m glad we are learning to play the guitar. I’m asking my mum if she will buy me a guitar of my own. On the 19th of May, the older children took part in a concert in St John’s School Hall which was organised by Music Generation. 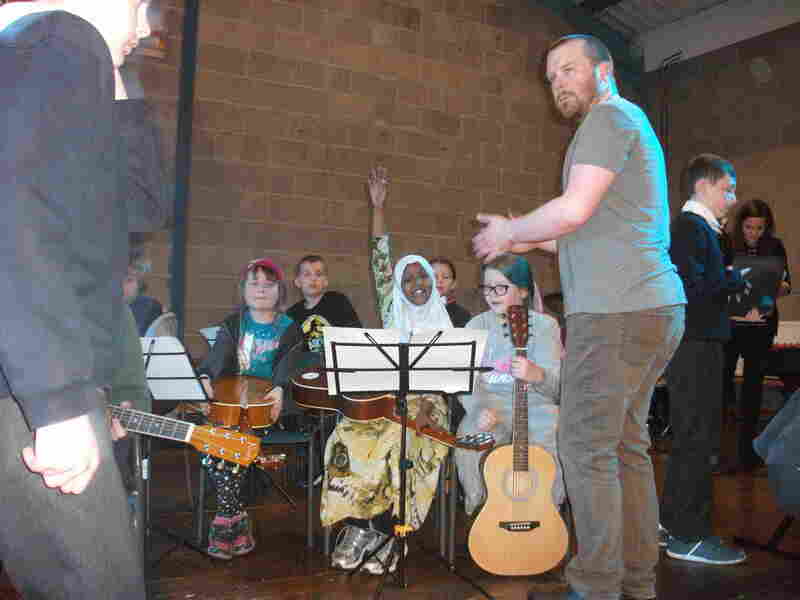 Since February, the children had been getting guitar lessons every week from Dave Flynn, one of the Music Generation tutors. They got about 12 lessons before the concert but they practised a lot every day with Deirdre so that they would make good progress. On the day, children from 5 schools around the town took part in the concert, 150 children in total! They played guitar, keyboard, recorder and some of the children sang. The band, ‘Anything Goes’, of which Dave is a member, put on a concert for the children before their performance. The children seemed to really enjoy the band and got involved in the performance by singing, dancing and clapping. The children from SSP played a song with the band. It was called ‘Hit the Diff’. It is hard to believe that the children are only playing guitar for such a short time. They were excellent. The other schools played individual pieces too and at the end, the whole orchestra played a tune together called ‘Sing’ by Gary Barlow. The children practised the song in their own schools and it was great to see the performance come together on the day of the concert. For many of the children in the school, this was their first experience of playing in an orchestra. They had to watch the conductor, come in at the right times, look at the notes and keep in time with all of the other musicians so it wasn’t merely sitting on stage and playing. Playing in front of a big audience was quite nerve wrecking for the children but very exciting too. 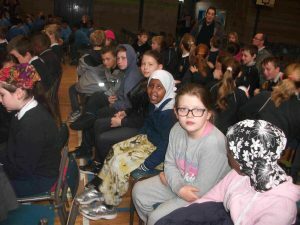 It was lovely for the children that so many of the parents came along to see the concert. It made it even more special for the children. The good news is that the children will get guitar lessons in September again for 14 weeks. The younger children will also receive music tuition (not instruments) after the guitar lessons are finished. Sincere thanks to Cranmore Regeneration Project for partially funding the project for the children in Sligo School Project. Their contribution had given the children such a wonderful opportunity.